Sometimes we love a product WAY more than Stampin' Up! expected us to and it's happened again! Stampers around are loving the Gingham Gala Suite from the 2019 Occasions Catalog and it's caused a few backorders. The worst one is the Butterfly Duet Punch. 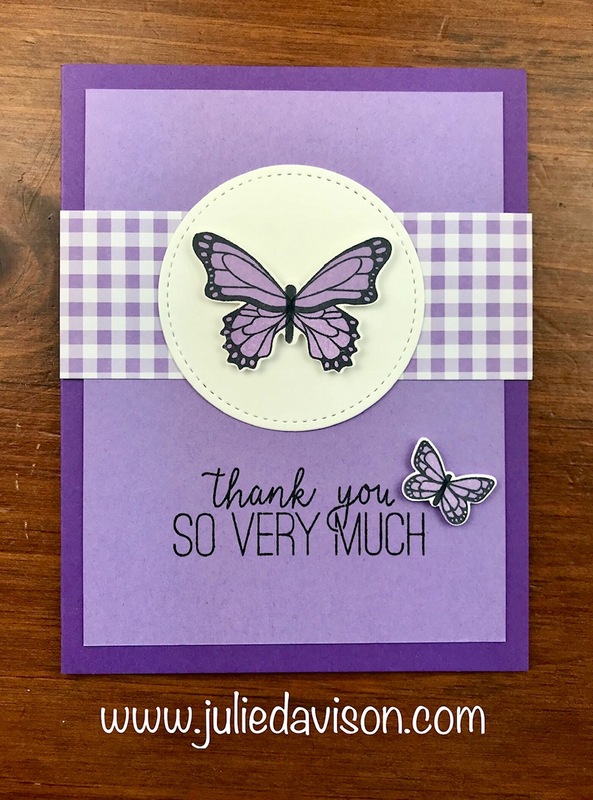 What's not to love about this versatile punch that cuts two butterflies at once -- AND coordinates with the new Butterfly Promenade Sale-a-Bration Designer Paper! The Gingham Gala Designer Paper and White Flax Ribbon from the Gingham Gala Suite are also currently on backorder until February 18. 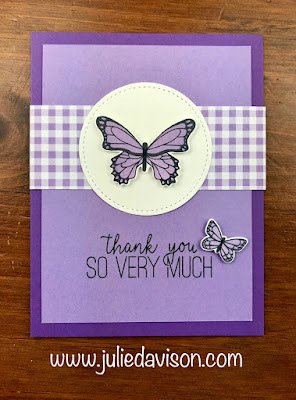 Yesterday afternoon, Stampin' Up! announced that the Cake Builder Punch and Piece of Cake Bundle were also on low inventory and would be come unorderable. As of this morning, it looks like it may also already be on backorder and the item numbers will likely be turned off today until the punch can be restocked. On behalf of Stampin' Up!, I apologize for an inconvenience this may cause! Stay tuned! I will be sharing lots of projects in the coming days and weeks to inspire you with all of the other new goodies from the Occasions Catalog!